RCC was founded in 2010 with one mission: to provide professional, prompt and effective mental health counseling to help clients achieve their best in all areas of their lives. To create a community of healthy and engaged members working to enhance their lives, bonds and satisfaction, one person at a time. 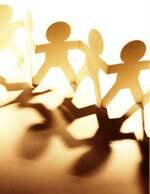 RCC strives to treat each person with compassion and respect. We believe in maintaining the highest quality professional services catered to each person’s individual needs with a focus on respect, understanding and measurable outcomes. We celebrate multicultural awareness and value each individual’s contribution to society. We believe in giving back to the community. We donate 10% of all company revenue to support local and national causes which promote social justice, fight poverty, enhance education and lend support to those in need. From the moment you contact us you will see how our caring and respectful staff handles your questions with sensitivity, confidentiality and professionalism. Should you ever have any concerns or questions about our services please contact our Director of Operations, Joseph Tropper directly via email or phone (443-929-1801) and he will personally see to it that your concerns are addressed and resolved in a timely manner. 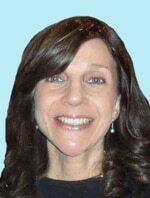 Dr. Freedman has presented at state, national, and international conferences on a variety of mental health issues. He is certified as a Clinical Supervisor by the Board of Social Work Examiners. He is a Field Instructor for University of Maryland Baltimore and Morgan State University, and was a Teaching Assistant at University of Maryland School of Social Work. He has been consulting with families for many years and ran a MASK group for parents, with acting out teens, in Baltimore. Dr. Freedman has worked with Project Shofar (Project CHANA) and served as the clinical director of the Shield of David Recovery Center. Dr. Freedman is the founder and clinical director of Recovery Counseling Center, LLC since 2010. His mission is to provide evidence-based professional counseling services to clients in need based on offering effective up-to-date interventions, a convenient location, flexible hours, multicultural sensitivity and by accepting insurance. Dr. Freedman and his wife, Dr. Janice Freedman, a dentist, are Baltimore natives, who are passionate about family, wellbeing and community activism. Dr. Freedman and his associates look forward to speaking with you about working together. 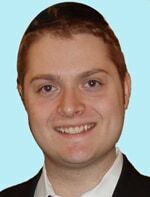 Joseph Tropper, MS, LCPC holds a Masters degree in Mental Health Counseling and is a Licensed Clinical Professional Counselor (Maryland) who ascribes to the humanistic approach in psychology which celebrates each person’s uniqueness and autonomy. He integrates cognitive-behavioral techniques to help each client reach his or her goals in the realm of thoughts, feelings and actions. Joseph works with clients to achieve a deep understanding of the process of self-growth and to implement lasting changes. He has been Director of Operations at RCC since 2014 and works tirelessly to advocate for each client’s needs with promptness and professionalism. He has completed an externship in Emotionally Focused Therapy for couples. He is trained in EMDR for trauma and fears. Joseph is an active community member who enjoys spending time with his wife and children, reading, jogging and exploring scenic destinations. 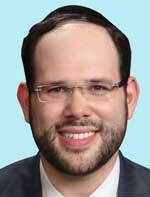 Avi Feldman, MS, LCPC holds a Masters degree in Mental Health Counseling from Touro College and is a Licensed Clinical Professional Counselor. He is a Maryland certified Clinical Supervisor (Maryland Board of Professional Counselors). After earning his MS in counseling, he gained valuable specialized training while attending the Family Therapy Training Program at the prestigious Ackerman Institute in New York City, Center for Alcohol studies training program at Rutgers University, Solution Focused training at the University of Wisconsin, and the Gambling addiction training program at the University of MD. Avi has been working in mental health clinic settings since 2009 including work as a drug rehabilitation specialist and supervisor. He has extensive expertise in working with teens, adults, and families who are experiencing challenges and sensitive issues related to addictions, depression, anger and abuse. Avi’s approach includes Solution Focused and Person Centered techniques while incorporating a wide range of interventions that are custom-tailored to the person’s unique situation to get the best possible outcome. In using a holistic perspective that includes healthy lifestyle coaching, he finds that clients can achieve more consistent and long-lasting results. Connie Meyerowitz, MSW, LCSW-C is a licensed clinical social worker who integrates a strengths-based and client-centered perspective throughout her work. She counsels children, adolescents, and adults struggling with anxiety, depression and many other challenges. Connie listens to her clients and their specific needs in order to develop achievable goals. Using DBT and ACT, Connie empowers her clients by engaging them in meaningful dialogue in order to grow in their self awareness, understanding and acceptance. Connie has been a clinical therapist at RCC since 2015 and is invested in supporting every individual by tailoring counseling to their specific needs.. She holds a certification in substance dependency counseling. Connie enjoys spending time with her family, exploring new places, as well as cozying on the couch with hot cocoa. 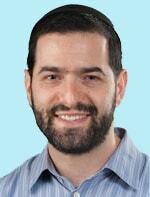 Shlomo Schor, MS, LCPC is a Licensed Clinical Professional Counselor who holds a Master’s degree from Loyola University in Pastoral Counseling. He treats anxiety, panic attacks, trauma, depression, bipolar disorders, addictions and general adjustment issues. He helps men and women unburden themselves from the weight of negative events or harmful relationships and embrace the precious present moment. 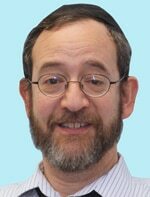 Shlomo is certified in treating trauma from the Institute of Advanced Psychotherapy Training and Education. His therapeutic style is eclectic. Besides using talk therapy, he also offers the use of alternative modalities such as sand tray, art, drama and mindfulness meditation to bring deeper healing to the therapeutic experience. 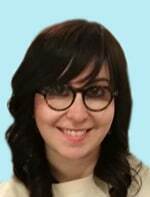 Ina Schwob, MSW, LCSW-C is a licensed clinical social worker who graduated with a masters of social work from Wurtzweiler School of Social Work at Yeshiva University. 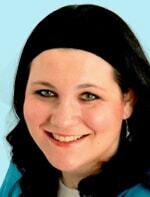 She counsels children, adolescents and adults suffering from behavioral issues, anxiety and depression. She employs therapeutic self-healing, reflective and creative techniques in order to empower her clients to become more in touch with their unique inner strengths and capabilities. Ina also specializes in treating victims of trauma and abuse. She is certified as a trauma therapist. Using a strength-based approach, she affords clients the opportunity to explore their past in a safe,non threatening environment in order to discover a healthy and hopeful future. She is a compassionate, insightful, goal-oriented therapist who facilitates self growth and a healthy potential. Ina enjoys spending time with her family, engaging in outdoor activities and relaxing with a good book. Lori (Leah Malka) Pasch, MSW, LCSW-C, is a licensed clinical social worker who graduated from Florida State University and University of Maryland School of Social Work where she completed her Masters degree. She specializes in early childhood mental health: combining awareness of developmental stages, play therapy and behavioral interpretation in treating trauma of young children. She utilizes a holistic, client-centered, and goal-oriented approach to empower and uplift the client. Leah Malka encourages her clients to create opportunities to focus and utilize their strengths in moving through life’s moments of joy and sorrow. She promotes skill development, health/wellness, support systems, and personal interests to further her clients’ emotional development. She is a warm, patient, and supportive clinician who uses her skills and personality to uplift her clients. In her free time she enjoys being outside with her family, gardening, and building bonfires. 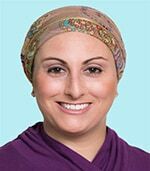 Beth (Batsheva) Hartstein, MSW, LCSW-C, is a licensed clinical social worker and Certified Play Therapist who graduated from University of Maryland School of Social Work where she completed her Masters degree. She is an empathic and passionate therapist, who strives to work collaboratively with her clients to craft effective and meaningful interventions for achieving success, and learn essential tools which will serve them throughout life. Beth specializes in working with children and adolescents, and works with adults as well. She utilizes a holistic, person-centered approach, with an emphasis on expressive therapies including play therapy, sand tray, and art therapy. Play is the language of children; Beth uses it to effectively reach and facilitate the growth of the children she works with. DBT and CBT are also part of her practice, and Beth uses these modalities to help clients to overcome their challenges and achieve their goals. Beth believes that therapy should be tailor-made to fit the needs of each person, and strives to meet each client where they are so that they can gain the most from the therapeutic process. In her spare time, Beth enjoys being with her family and friends, shopping and baking delectable desserts. Education: Bachelor’s degree in Psychology from Thomas Edison State University. Experience: Skating Teacher and Project Coordinator for a non-profit, Matanot Shelanue. Hadassah is sensitive and attentive to every client’s needs. Her main priority is to help every client who walks in to Recovery Counseling Center feel comfortable and welcome. Feel free to ask Hadassah any questions that you have. 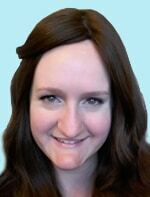 Rachel is a personable and caring team member who aims to assist all clients and their needs. She is organized and efficient and helps Recovery Counseling Center run smoothly throughout the day. She is happy to help you in any way she can, just ask. Recovery Counseling Center, LLC employs the professional services of BillingMD, Inc. led by Mrs. Tova Herman, president. BillingMD is a medical billing company with years of experience acting as a liaison and advocate for client’s needs. Their skilled billing specialists are experienced and knowledgeable of current insurance billing procedures are thus facilitate fast and professional billing services. Should you have any billing questions, please email us at billing@rccbaltimore.com for prompt assistance. CR Designable specializes in web design and support. Chavi Rokach, owner, personally engineered our site from inception to launch and further maintains performance and security ensuring our goal of providing best service to our clients. CR Designable has proven itself to be a responsive, intuitive and dedicated team in line with our company’s vision. Should you have any technical issues with the site, please contact Chavi here.